Description: On blue background a woman wearing red carrying a coffee tray. On her skirt white Olympic rings. 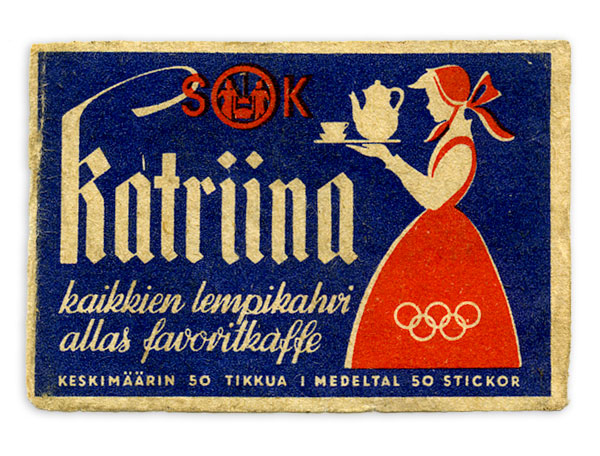 The texts: SOK; katriina kaikkien lempikahvi allas favoritkaffe; KESKIMÄÄRIN 50 TIKKUA I MEDELTAL 50 STICKOR.